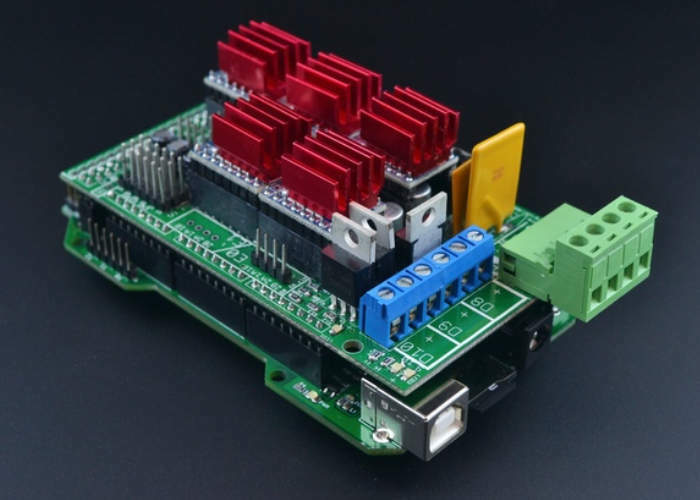 Roy Cortes has created a new piece of hardware which allows you to provide a little extra performance for your 3D printer, CNC machine or laser cutter running on a RAMPS Controller. So if you are tired of slow 8 bit processing, print artefacts and poor LCD performance, the new Re-ARM add-on shield might be worth further investigation and is available to back from just $39 with shipping in January 2016. It’s creator explains a little more behind the inspiration, installation and features you can expect from the Re-ARM Shield , which takes yeti form of a 100Mhz, 32-bit ARM controller with the popular Arduino MEGA footprint and replaces the Arduino Mega in your RAMPS setup for a quick and easy upgrade to 32-bit performance. The RAMPS v1.4, a simple and versatile shield that sits on top of an 8-bit Arduino Mega that runs thousands of machines worldwide. If you are into DIY 3D printing, CNC machining and laser cutting you have most likely come across or used this board as it is the most popular controller option out there. It does however have limitations, especially with the 8-bit Arduino Mega powering it. This presents a good opportunity for speed and feature upgrades with 32-bit controllers gaining popularity due to its advantages in speed and capabilities. Some RAMPS users are feeling the limits of its 8-bit Arduino Mega MCU specially with Delta 3D printers and high micro stepping drivers. For more information on the new Re-ARM for RAMPS Shield jump over to the Kickstarter website for details by following the link below.